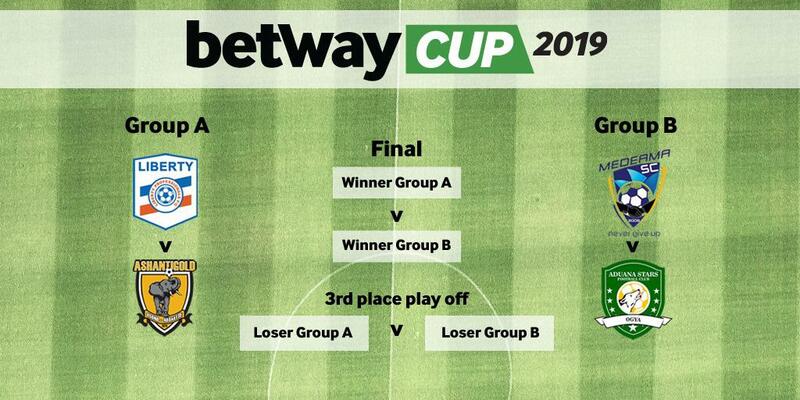 The draw for the maiden edition of the Betway Cup has been concluded in the Ghanaian capital, Accra on Wednesday. Hosts Ashanti Gold SC take on Liberty Professionals in the opener before Medeama SC face Aduana Stars in the second fixture on Saturday at the Len Clay stadium. Winners of the two encounters will battle each other for the ultimate on Sunday at the same venue.